Part 2 of the 5-Part Series on the Purpose Driven Church. 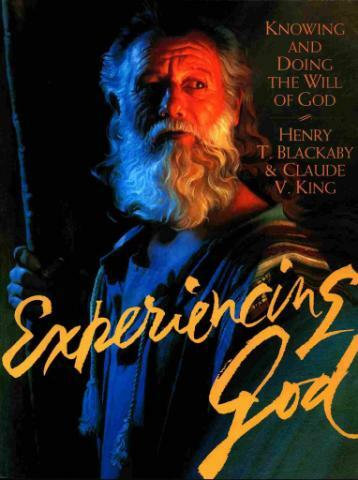 In 1997, one study was sweeping the country – Experiencing God by Henry Blackaby. People by the millions were joining small groups to learn what it means to join God in His work. For many, it was the first small group they had been in outside of Sunday School. 12 years later, the small group movement has captured the hearts and minds of America believers. While Sunday school is still the most prominent form of discipleship in the American church, the small group movement is gaining fast. For years, small groups were only found in megachurches where “education space” was limited. Additionally, who wants to be in a Sunday School class of 200? Larger churches needed their people to form relationships in smaller groupings to create a closer knit church and keep things from feeling too big. That is not the case now. In 2009, the small group movement can be found in rural, suburban and urban churches of all sizes. And guess who we have to thank for this. You are right, the Purpose Driven Church author himself, Rick Warren. The 40 Days of Purpose and 40 Days of Community Bible studies pushed small groups into homes and neighborhoods. Other shifts in discipleship in the last 12 years consist of family-centered ministry over age-graded structures. The explosion of mentor/mentee discipleship and accountability groups for men and women. People are having to make choices with their busy schedules. Coming to church Sunday AM and PM and Wednesday, plus being in a small group study is not possible. Most Americans are attending one worship service and one type of small group discipleship, whether that be Sunday school, in-home small group, accountability group or meeting with their spiritual mentor. In today’s discipleship world, less is more. But yet discipleship is still not the purpose that has shifted the most in the past 12 years.